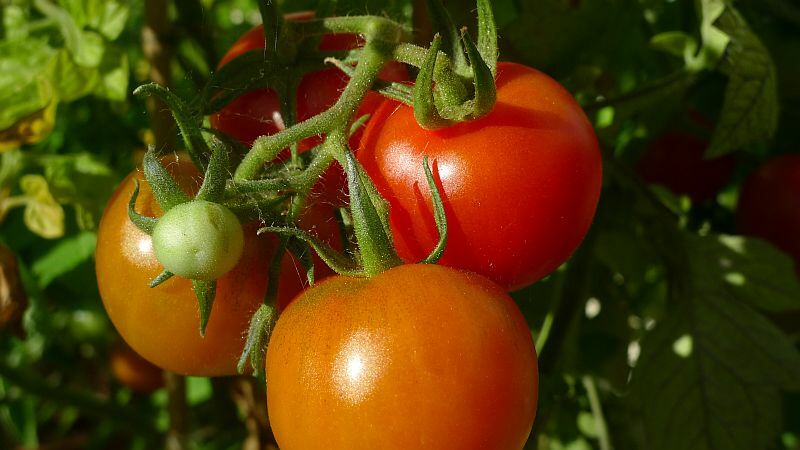 What tomatoes would you grow again next year? 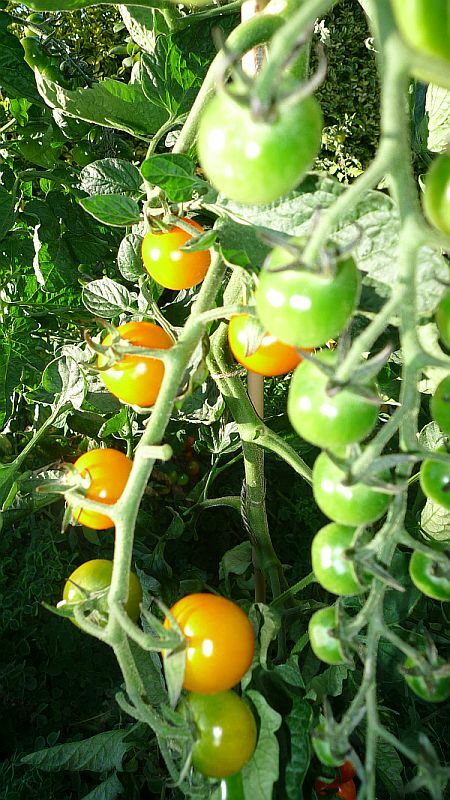 Posted: Tue Sep 03, 2013 5:11 pm Post subject: What tomatoes would you grow again next year? This year I have been growing four different varieties of tomatoes and am absolutely drowned in them , next year i think I'll focus on less but more tasty varieties. In order of flavour, pictures are my own. Lovely red oblong cherry tomato. Unlike the Sungold above, if picked early is nothing special. However if left to ripen is absolutely delicious and abundant. Will definitely grow again next year. Truth be told I was expecting more after reading reports online. Yes its a nice tasty tomato,but maybe I'm spoiled by abundant Sungold and Rosada cherry tomatoes this year? Compared to supermarket tomatoes that is still streets ahead of flavour. May skip growing next year if theres a strong recommendation to try another tasty variety. tastewise is a big disappointment. Have tried leaving on the vine until going soft in case i wasn't ripening enough but the flavour both pot and soil grown is disappointing. Better than supermarket but not much. Looks nice though. Wont grow again. I also have some Tigarella seeds (http://www.thompson-morgan.com/vegetables/vegetable-seeds/tomato-seeds/tomato-tigerella/260TM) that I never got round to planting this year, anyone tried them before and would you recommend for flavour? Would love to hear other members here experiences and recommendations for next year now that hopefully the taste is still fresh on tongues! I'm also going to grow Gardener's delight again next year as I'm very pleased with the flavour. 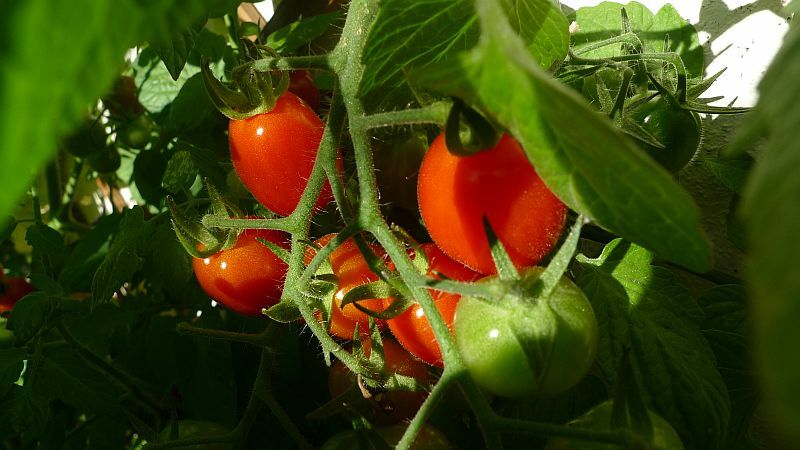 I only have room for four plants and I think I'll concentrate on the small cherry tomatoes from now on........they are more tempting to eat, both for us and the grandchildren.The big ones weigh down the plant....and seem thicker-skinned than commercial ones. These tomatoes look great! I'm definitely tempted to grow my own next year, hopefully they work out as good as you! I grew a few different types of tomatoes this year. Rosada was one of my favourites. A lovely cherry plum tomato. Another one was Black Cherry, a dark skinned sweet cherry - lovely right off the stem. Most of them didn't even get in the front door! 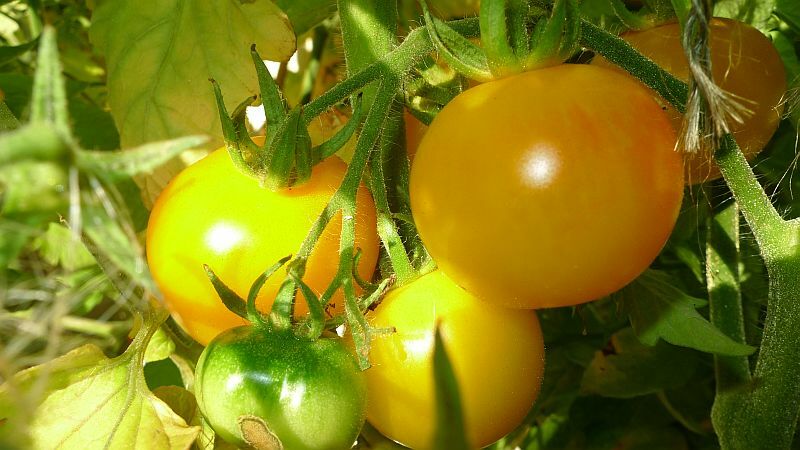 A beautiful sweet yellow pear tomato is Lemon Pear which is still bearing loads of fruit. A bush tomato called Mastotka was my earliest pick. It cropped the earliest, but has finished now. 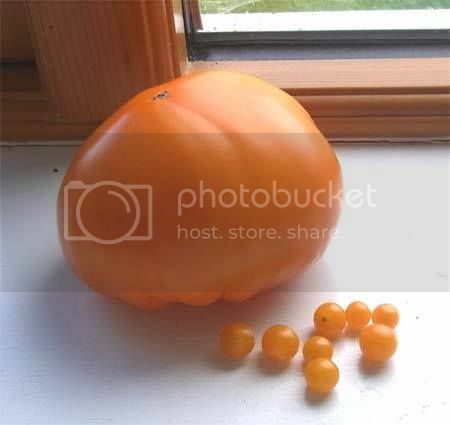 A friend brought me back seeds from South Africa of one called Banana Legs Tomato which is also a plum tomato, but so sweet with a thin skin. Well worth growing! I have an allotment with a small polytunnel in which I grew my tomatoes. sgmgarden go for it! Just plant them inside or in the greenhouse early . I had a lady on the same street as me comment to me last week about my tomatoes (they are growing in my front garden) as she walked by. She wanted to know how come mine are so big and red whilst her's were smaller and all green., Turns out she planted them in April outside. I planted mine in March inside and only planted them outside in June when they got too big. Next year I'm going to plant in February inside and move to the greenhouse until May or June to try an get a further headstart. My wife is going to China next month (she's Chinese) and is under orders to bring me back the weirdest tomato seed she can find so will be trying out those too! I've grown the black cherry tomato from brown envelope seeds and they are delicious. Other good ones are yellow centiflor and choco stripe. My harvest this year was massive and they were kept outdoors all summer. Thank you for the advice Sneachta, I think I will give it a go! Both are absolutely delicious but I won't be growing them next year because the plants themselves are massive in size. My greenhouse is over 7ft tall but these tomato plants reached the roof quite quickly and spread sideways a lot too. For the next year I'll be looking for the more compact varieties. I had one small tomato plant this year that I bought in Woodies diy, Totem, I think, it's called. The plant itself is very nice - small and sturdy, with chunky dark colored leaves, but the fruit is hard and tasteless - so it's a no no too.